The Balkans are one of the most interesting parts of the European mainland. I consider them a puzzle of different nations and minorities, a place of many differences and similarities at the same time, a region with rich cultural and food offer, filled with amazing nature and authentic architecture. It is a region worth being discovered and visited. 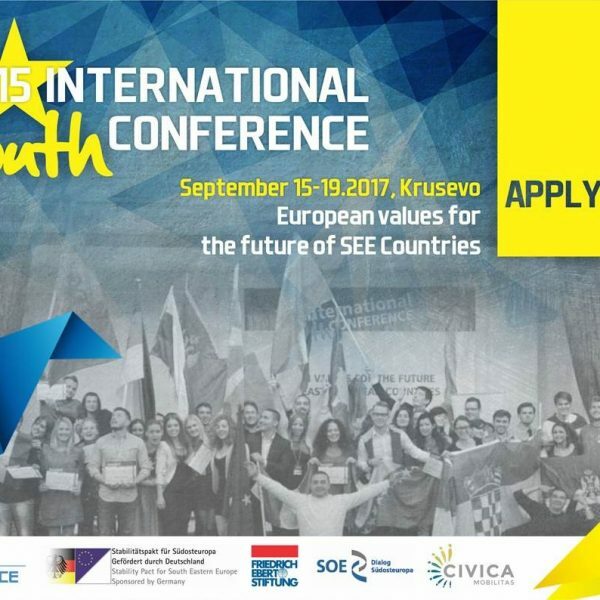 This September, there was one more reason to visit the Balkans – the International Youth Conference, organized by Youth Alliance, happening traditionally in Krushevo (#iyckr2016), a small and lovely town in Macedonia. Macedonia, along with neighboring Serbia, Kosovo, Montenegro, Croatia, Bosnia and Herzegovina and Slovenia, was known as Yugoslavia just 2,5 decades ago. Exactly this was one of the topics of the 1st session at the IYC. The opening panel discussion was focused on the experiences and practices of reconciliation between Germany and Poland and between the Balkan countries. Representatives of German-Polish office and of the RYCO working group spoke about the importance of reconciliation, mutual understanding and cooperation. The highlight of the discussion was Mr. Stjepan Mesic, the second President of Republic of Croatia and last President of the Presidency of Yugoslavia. He spoke about the importance of the common European project and European unification, as well as sustainability of the EU by giving a nice overture in the topic ‘From Yugosphere to Eurosphere’ which can be loosely interpreted as ‘From Yugoslavia to United Europe’.‘Eurosphere today is what Yugosphere was yesterday but enriched by values inherent to democratic western systems’, said Mr. Mesic. The Croatian politician emphasized the common values and concepts of both Yugoslavia and EU, which according to him are the following: the concept of civic state, the multinational state, the national and the minority equality. In here it is included the market economy as well, because as he said, Yugoslavia did not have Soviet – type planned economy, but was instead a largely market one. He pointed out that the main difference is that Eurosphere has pluralism, multiparty system, and free elections. In his opinion, Yugoslavia was a very interesting experiment, in many ways ahead of its time, but he also said that he was and remained a devout supporter of European unity. ‘European unification also started as an experiment. It is up to you to see that it doesn’t turn out to be failed experiment. Taking into account all similarities – and there are plenty – we absolutely mustn’t allow the Eurosphere to repeat the destiny of Yugosphere’, added Mr. Mesic. 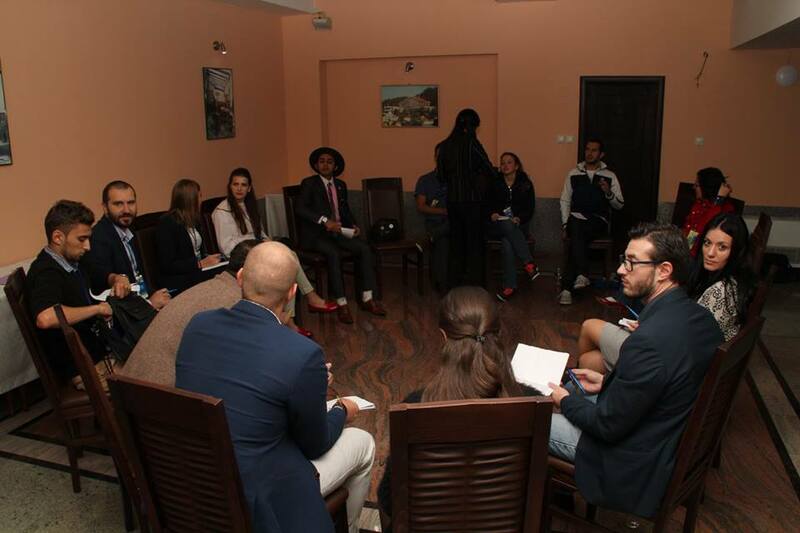 The participants – young people and young leaders – were very interested in the topic and continued the discussion with the panelists, eager for new knowledge. ‘Mr. 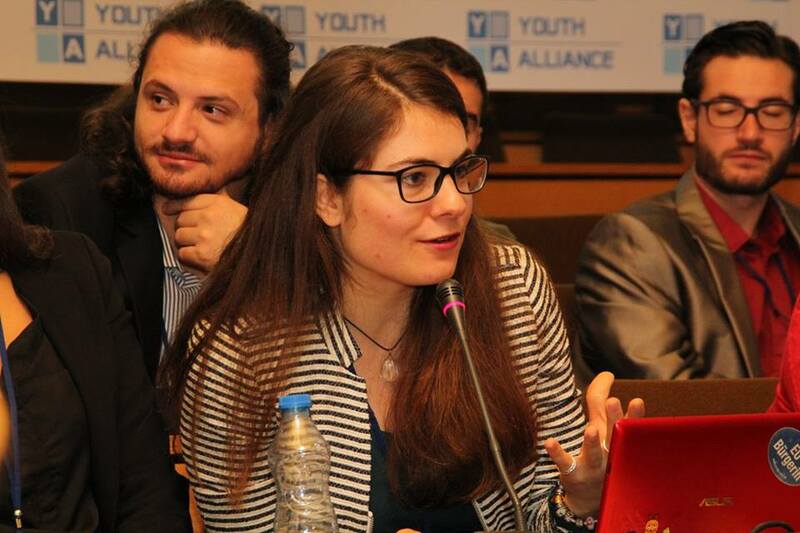 Mesic’s speech was one of the best speeches at the conference. In his presentation he mentioned the most important things about Yugosphere, making it easy for those who didn’t know a lot about its history to follow the conversation and also participate through questions. I liked his speech not only as a political scientist but also as a young person whose life and future are affected by the destiny of Europe. I could never think that Eurosphere is somehow the descendant of Yugosphere, but enriched by values as Mister Mesic said’, said Angela Maria Kotsoni, a participant from Greece. Some of the participants remain skeptical towards Yugoslavia or Yugosphere, but they all want to be part of the European Union, where all nations and countries will be living peacefully together. ‘I am skeptical towards the term Yugosphere. My skepticism to this term is in fact replaced by a vision of integrating these groups of nations and peoples into Europe. 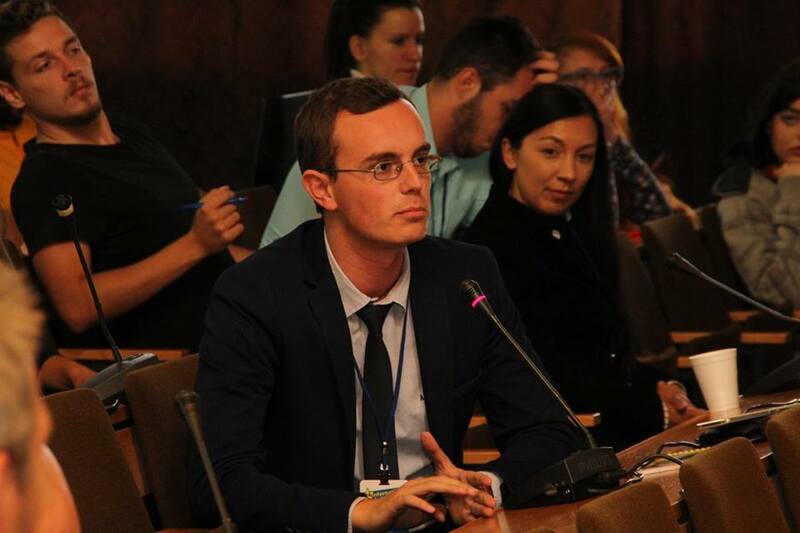 Yugosphere must be abolished and Macedonians, Serbians, Albanians, Kosovars, Montenegrins, Roma jump into Eurosphere, where they will be acknowledged that they have accepted the European values and started creating European future’, said Sotir Gabeloski, a participant from Macedonia. 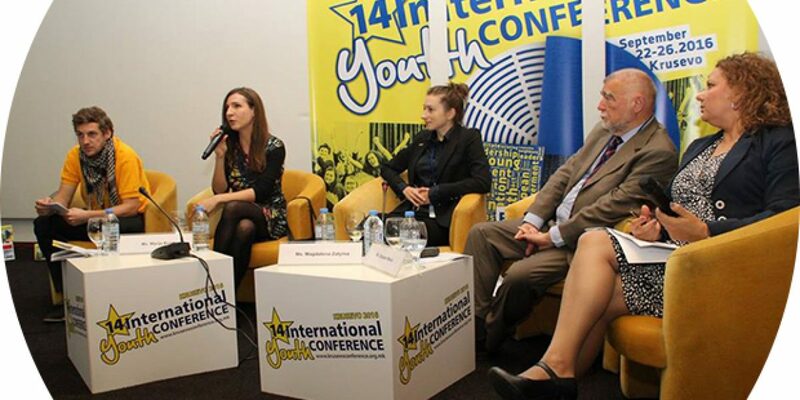 Mr. Mesic said that the youth has to acknowledge the downsides of the EU and remove them. He added that the European Union is a millennium project and that the young generation has the responsibility to finish it. ‘When former Yugoslav president S. Mesic had the floor, I was most of all thrilled about the opportunity to talk to a person who was an integral part of the (destructive) history. More so I was excited to hear a convinced European and supporter of the EU draw lines between the Yugosphere and a developing Eurosphere. His idea was not new to me: Having talked to many young people in Southeastern Europe I had quickly noticed that a lot of them strive for regional integration and a regional identity. Idealizing (the peaceful) Yugoslavia it almost seems as if some wants to turn back the clock. Mesic told us that history will always remain history. Only lessons from history can be taken to the future. There will very unlikely be another Yugoslavia. Still, I was amazed by the parallels he drew between two systems: Yugoslavia and the EU. This comparison is not flawless and in my opinion, the similarities don’t go as far as Mesic explains, but the core idea of overcoming nation states and to go for unity instead compares well’, added Marie Jelenka Kirchner, a participant from Germany. Lastly, Mr. Mesic emphasized that: ‘Young people should think with their own head. They should not accept anything as sacred truth. They have to fight for the right to be citizens, for social aspects, inter-human and international solidarity’.